The thing is, Apple does not need the Apple TV to search the web. In fact I believe the future of the Apple TV is in its connection with other Apple devices via AirPlay. Let say you own an iPhone or, better, an iPad (or maybe possibly in the future a MacBook/iMac). You surf the web using the built-in browser and suddenly you stumble on a post that point to a youtube/html5 video. Since the iPhone/iPad will play this video using the local video player that does AirPlay you select to stream it to the large 52 screen that happen to hang on the wall in front of the couch you sit it. Suddenly you are watching the video on your living room TV! It did not require a special remote to interface with the Google/Apple TV, it did not require you to squint at the TV 10 feet away to read what you typed on the awkward remote, it did not require you to speak out loud and wake up the baby sleeping beside you to do a search query. It all happened quietly on the iPhone/iPad touch screen. 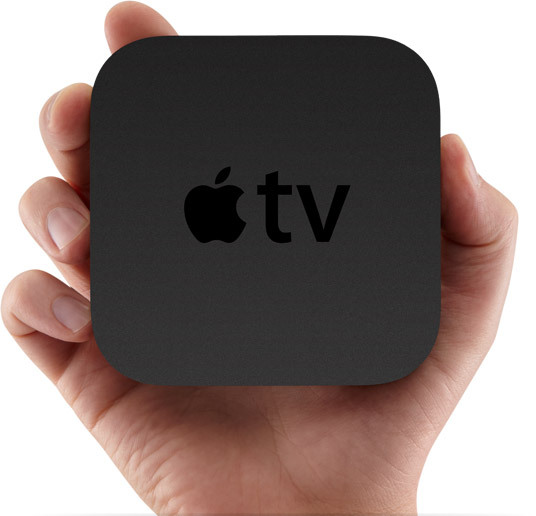 This is one of the way Apple will win over Google TV, by leveraging its gadget ecosystem to empower the Apple TV users. Granted, Apple TV would benefit from an App Store to add applications like Weather, RSS News, Games, etc. I bet this will come within a year when Apple release the SDK for the new AppleTV. In the mean time one will simply use the iPhone/iPad as an evolved input device for the Apple TV. Google want to integrate you DVR into the mix but why? Apple will instead deliver the content via a lease model where you can watch when you want. Sure the current pricing model is not optimal but it can change.